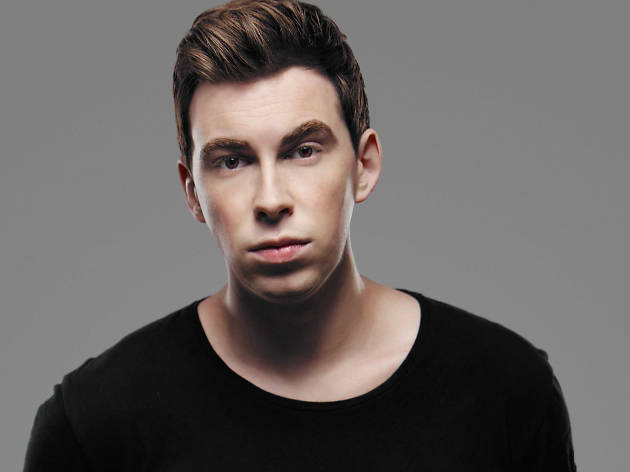 Big things are afoot in our sister SAR as Club Cubic prepares to celebrate its sixth anniversary this Saturday by bringing in Dutch DJ legend Hardwell. And not just for one night either but for an entire China residency. 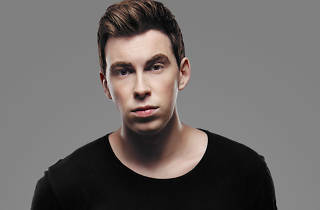 First gaining popularity in 2009 for his bootleg Show Me Love vs Be, Hardwell subsequently spent the first half of this decade playing at major festivals like Tomorrowland and Road to Ultra, most recently completing his I Am Hardwell – United We Are tour in 2016 to promote his first studio album, United We Are. You had a monster year in 2016, with tons of EDM festivals and sets under your belt. Which was most memorable? 2016 was such a big year for me and I played some incredible shows, but the one show that immediately springs to mind when I think of 2016 is the closing night of my I Am Hardwell – United We Are world tour. It was at the world famous Hockenheim racing circuit and it was this magical occasion that brought to a close one of the biggest and most important projects in my life so far. I loved that final show and the crowd were absolutely amazing! To be the first DJ to play Hockenheim was a surreal moment. And of course, this week you’re celebrating Club Cubic’s sixth anniversary as well as starting a residency there this year! Why did you pick Cubic for your first China residency? I’m really looking forward to the show and starting this residency. I want to be a part of what the club is building and as a destination, Macau has so much potential to be a huge draw for clubbers from all around the world. Club Cubic understand this vision and their ideas and plans were extremely exciting to me, so I’m happy to be joining the Club Cubic family. What else can we look forward to from you in 2017? Are there any releases or tunes that you’re excited to announce, perhaps even play this weekend? I’ve been busy in the studio and have a bunch of fresh new releases forthcoming. I’ll be announcing more details on my socials very soon. I’ll definitely be playing new music during my residency in Club Cubic, so those fans coming to see me can expect a ton of new and never before heard music during my set! Most of your biggest festivals are in the US, like Ultra and EDC. How do the fans and how does the scene and view of EDM in Asia differ from, say, the States or Europe? Asia is a hotbed for new festivals and events. Electronic music has been in Asia for many years but these last few years have seen the passion really explode because an entire new fan base has become part of the journey. The scene differs in styles and ideas but this is what makes each country and region so unique. I love getting to travel and perform to different crowds because you’re exposing yourself to new music, new cultures and the atmosphere is always so unique. You stated last year that you were taking time away from the studio to focus on your live sets. Has that been working out for you? Are you looking to continue your live work or are you itching to get back into the studio? I had a short break but it was only to focus on my shows and refresh myself before going back into the studio and finishing a load of tracks I’d been working on. Plus, I wanted to play around with some new ideas and see how that comes out later down the line. I’m back in the studio again and I’m back on the road working harder than ever. 2017 is an important year for me as I’ll be delivering some really exciting new material and playing a lot of new and familiar parties. With all the touring and studio time, you must have creative dry spells, like every artists. How do you overcome those tough times? I travel a lot to DJ, so I use this time to unwind and to find inspiration. I try not to get to locked into one idea and will often work on a few track ideas at a time too. Is there a record or song or artist that always inspires you and gets you back in the groove? I actually listen to hip-hop to unwind, so that’s really the music I use to clear my mind. I find listening to someone like Dr Dre helps me to take a break and find a groove again. What about down the line? What’s something you’d eventually like to do in your career or personal life? I love touring and I love being in the studio making music, so that’s where my passion lies. I can’t ever see myself stopping DJing or producing. I’d like to work on another album one day in the future; I really enjoyed the last one and found it helped me grow as a producer. I also have a charity project United We Are Foundation that I’d like to put more time and energy into as we’ve big plans and I’d like to see those ideas help more children around the world.